Honesty, communication, and integrity are not just buzz words at Urban Dreams Farm. They are words that we live by because we believe they are the core to successful relationships. We aim to raise sturdy, healthy quality livestock with fine fleece. 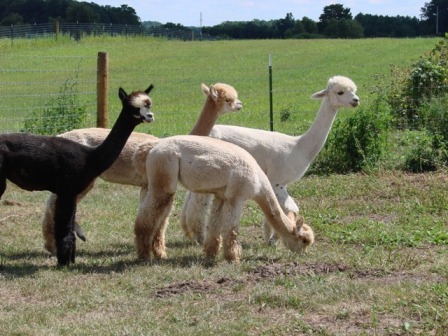 Raising alpacas is an investment in a lifestyle (i.e., a quiet country living). They are a peaceful animal that is prized for it’s fiber. We especially love going into the barn and enjoying their humming to one another. It can’t get any better than that! Here at Urban Dreams Farm we strive to enhance the fiber our foundation herd produces. We also work diligently at processing and making use of what is produced. Look at the farm store for details of available products. We have quality Peruvian females that we use for increasing the herd and for resale. We have a wonderfully diverse group of alpaca at our farm. The foundation herd are all full Peruvian that come from quality stock. 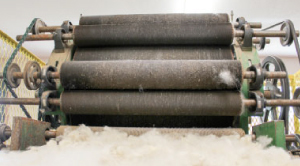 We have a fiber herd that is more diverse but still has excellent fiber; which is used to make many wonderful products. Alpaca are of the camelid family and are native to the mountainous regions of South America. They are the oldest domesticated animals in the Americas where they have been raised and bred for their fiber. The finest quality alpaca fiber has been found in ancient grave sites; even finer than we have today. This loss in quality is because the Spanish that invaded South America didn’t recognize the quality and benefits alpaca provide. They saw the alpaca as a threat to the sheep and decimated the herd.